– A new theme, AquaBlue, with a new homepage, header and footer and category page. – CSS variables support for themes which affect both the new and legacy pages in a uStore NG store. – A theme coding framework in React.js which allows development of new themes. Read more. – Ability to assign an image to a product group. Added: A WYSIWYG theme editor for uStore NG stores with a draft mode. 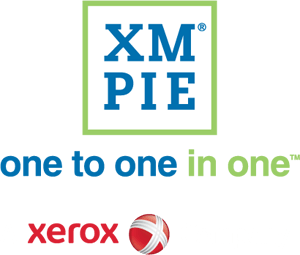 Added: uStore supports the new version of Xerox FreeFlow Core – version 5.1.0.9. Please refer to the FreeFlow Core release notes. Changed: The skin folders of Legacy stores moved to a new location: \\uStoreShared\Skins. This allows easier sharing of skin files between uStore servers within a cluster. – Currently, uStore NG mode is available for B2B stores only. B2C and uStore Connect stores receive the Legacy mode. – NG stores do not yet support Internet Explorer. – Currently, uStore NG stores use the new React.js technology in the homepage, header and footer and category page only. In all other pages the new technology is used in the header and footer, and the content of the page resides in an iFrame and uses the Legacy technology (ASP.NET). Added: A coupon can now be set to discount specific products in a store or an entire product group. Added: uStore 9.4 now supports Microsoft SQL Server 2017. Changed: A promotion code no longer behaves like a gift card, where the provided sum is reduced upon each purchase. Limitation: uEdit does not support TrueType Collection font files. Added: Additional GDPR functionality has been added: the ability to download all data about a shopper, upon request, and the ability to delete all stored data related to a shopper (except for submitted orders). Added: uEdit 9.3 has a larger document display area which facilitates the user experience. Added: uStore supports the new version of Xerox FreeFlow Core – version 5.1.0.3. Please refer to the FreeFlow Core release notes. Changed: The Coffee Skin was updated to support uStore 9.3. Download installation package. Know issue: A file uploaded with a file attachment product property is not deleted in a GDPR supported store. In case these files contain PII, delete them from \\ustoreShared\FileattAchments\ no later than 30 days after they were created (136594). Caution! When deleting a user, ensure there are no orders for this user which haven’t yet been fulfilled. Deleting the user beforehand may cause errors in fulfillment and production. Important! From version 9.3 onward, upgrades to uStore will be provided as system updates via the Presets > XMPie Services > Check for new updates section. Updates will be available for customers who have an active Maintenance and Support plan. Added: GDPR (General Data Protection Regulation) compliance. Added: When previewing an email of an XM Campaign product in the Storefront, the shopper can now send a proof of the email to an email address, in addition to viewing it in the browser. Added: Support for Xerox FreeFlow Core 5.1.0.2. Please refer to FreeFlow Core release notes. 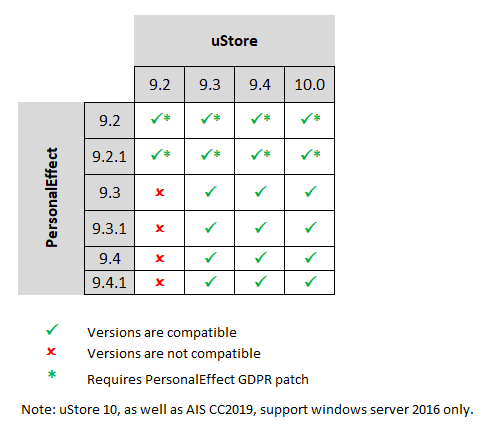 Changed: uStore does not support Office 365.